The 2010 Polaris Scrambler 500 4×4 ATV is the World’s Most Trail-Worthy 4×4 Sport ATV. 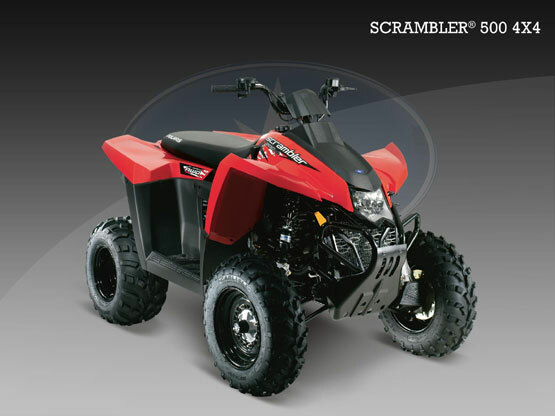 Is has been redesigned from chassis to suspension to styling – an all-around incredible-performing ATV for trail riding where you need big, reliable power and traction. 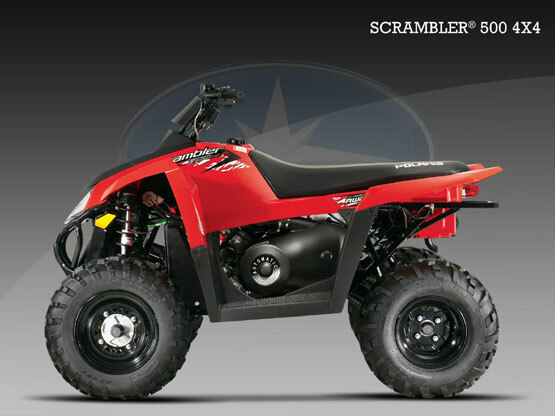 Find out more about its features, specifications, pricing, comparisons, reviews, accessories, videos, images, 360 views, custom brochures, downloads, and locate your nearest dealer that has the Scrambler 500 4×4 ATV.